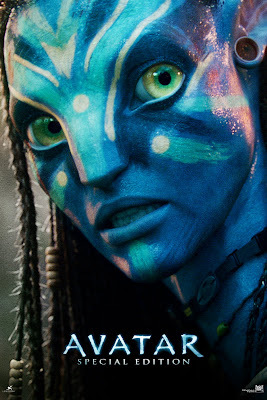 The highest grossing film of all time, James Cameron's Avatar will have a special limited edition shown in Digital 3D and IMAX 3D cinemas starting August 27, 2010. The Oscar and Golden Globe winning epic records over $2.7 billion in worldwide box office since it was shown last December. 20th Century Fox and James Cameron's re-release of “AVATAR: SPECIAL EDITION" will include more than eight minutes of new footage. "Audiences repeatedly told me they wanted more of Pandora, and wished they could have stayed there longer. So we’re making that possible. AVATAR: SPECIAL EDITION will be exclusively in 3D, and will have eight minutes of never before seen footage, including new creatures and action scenes. Whether you already love the movie, or you've never seen it, with this Special Edition, you'll be seeing it like never before," comments James Cameron. Watch it and re-experience Cameron’s history-making epic. Check out 20th Century Fox (Philippines) Facebook page for the latest news and contests.